FIRST SARMIENTO PROPERTY HOLDINGS, INC., PETITIONER, VS. PHILIPPINE BANK OF COMMUNICATIONS, RESPONDENT. To determine the nature of an action, whether or not its subject matter is capable or incapable of pecuniary estimation, the nature of the principal action or relief sought must be ascertained. If the principal relief is for the recovery of a sum of money or real property, then the action is capable of pecuniary estimation. However, if the principal relief sought is not for the recovery of sum of money or real property, even if a claim over a sum of money or real property results as a consequence of the principal relief, the action is incapable of pecuniary estimation. This resolves the Petition for Review filed by First Sarmiento Property Holdings, Inc. (First Sarmiento) assailing the April 3, 2012 Decision and July 25, 2012 Order of Branch 11, Regional Trial Court, Malolos City, Bulacan in Civil Case No. 04-M-2012. On June 19, 2002, First Sarmiento obtained from Philippine Bank of Communications (PBCOM) a P40,000,000.00 loan, which was secured by a real estate mortgage over 1,076 parcels of land. On March 15, 2003, the loan agreement was amended with the increase of the loan amount to P51,200,000.00. On September 15, 2003, the loan agreement was further amended when the loan amount was increased to P100,000,000.00. On January 2, 2006, PBCOM filed a Petition for Extrajudicial Foreclosure of Real Estate Mortgage. It claimed in its Petition that it sent First Sarmiento several demand letters, yet First Sarmiento still failed to pay the principal amount and accrued interest on the loan. This prompted PBCOM to resort to extrajudicial foreclosure of the mortgaged properties, a recourse granted to it under the loan agreement. On December 27, 2011, First Sarmiento attempted to file a Complaint for annulment of real estate mortgage with the Regional Trial Court. However, the Clerk of Court refused to accept the Complaint in the absence of the mortgaged properties' tax declarations, which would be used to assess the docket fees. On December 29, 2011, Executive Judge Renato C. Francisco (Judge Francisco), First Vice-Executive Judge Ma. Theresa A. Mendoza Arcega, Second Vice-Executive Judge Ma. Belen R. Liban, and Third Vice-Executive Judge Basilio R. Gabo, Jr. of the Regional Trial Court of City of Malolos, Bulacan, granted First Sarmiento's Urgent Motion to Consider the Value of Subject Matter of the Complaint as Not Capable of Pecuniary Estimation, and ruled that First Sarmiento's action for annulment of real estate mortgage was incapable of pecuniary estimation. Also on December 29, 2011, the mortgaged properties were auctioned and sold to PBCOM as the highest bidder. On January 2, 2012, First Sarmiento filed a Complaint for annulment of real estate mortgage and its amendments, with prayer for the issuance of temporary restraining order and preliminary injunction. It paid a filing fee of P5,545.00. First Sarmiento claimed in its Complaint that it never received the loan proceeds of P100,000,000.00 from PBCOM, yet the latter still sought the extrajudicial foreclosure of real estate mortgage. It prayed for the issuance of a temporary restraining order and preliminary injunction to enjoin the Ex-Officio Sheriff from proceeding with the foreclosure of the real estate mortgage or registering the certificate of sale in PBCOM's favor with the Registry of Deeds of Bulacan. That same day, Judge Francisco issued an ex-parte temporary restraining order for 72 hours, enjoining the registration of the certificate of sale with the Registry of Deeds of Bulacan. On January 4, 2012, the Regional Trial Court directed the parties to observe the status quo ante. On January 24, 2012, the Clerk of Court and Ex-Officio Sheriff of Malolos City, Bulacan issued a certificate of sale to PBCOM. In its Opposition (Re: Application for Issuance of Temporary Restraining Order), PBCOM asserted that the Regional Trial Court failed to acquire jurisdiction over First Sarmiento's Complaint because the action for annulment of mortgage was a real action; thus, the filing fees filed should have been based on the fair market value of the mortgaged properties. PBCOM also pointed out that the Regional Trial Court's directive to maintain the status quo order beyond 72 hours constituted an indefinite extension of the temporary restraining order, a clear contravention of the rules. 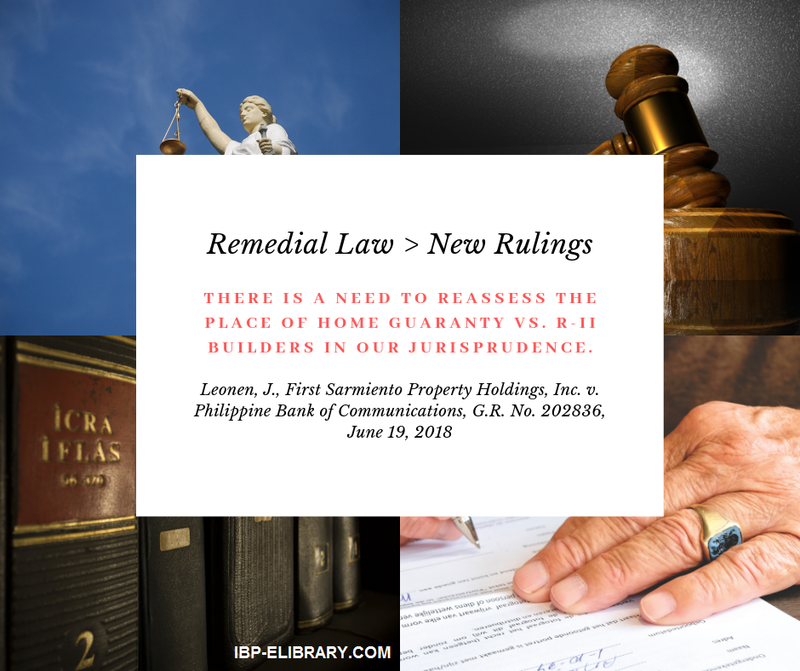 Following the High Court's ruling in the case of Home Guaranty Corporation v. R. II Builders, Inc. and National Housing Authority, G.R. No. 192549, March 9, 2011, cited by the bank in its Rejoinder, which appears to be the latest jurisprudence on the matter to the effect that an action for annulment or rescission of contract does not operate to efface the true objective and nature of the action which is to recover real property, this Court hereby RESOLVES TO DISMISS the instant case for lack of jurisdiction, plaintiff having failed to pay the appropriate filing fees. Accordingly, the instant case is hereby DISMISSED. On July 25, 2012, the Regional Trial Court denied First Sarmiento's motion for reconsideration. On August 17, 2012, First Sarmiento sought direct recourse to this Court with its Petition for Review under Rule 45. It insists that its Complaint for the annulment of real estate mortgage was incapable of pecuniary estimation. It points out that the Executive Judge and Vice-Executive Judges of the Regional Trial Court likewise acknowledged that its action was incapable of pecuniary estimation. Petitioner highlights that the Supreme Court En Banc in Lu v. Lu Ym held "that an action for declaration of nullity of issuance of shares or an action questioning the legality of a conveyance is one not capable of pecuniary estimation." Furthermore, petitioner maintains that the Supreme Court En Banc in Bunayog v. Tunas also established that a complaint questioning the validity of a mortgage is an action incapable of pecuniary estimation. It emphasizes that Home Guaranty Corporation v. R-II Builders, which the Regional Trial Court relied on to dismiss its complaint for lack of jurisdiction, was rendered by a division of the Supreme Court; hence, it cannot modify or reverse a doctrine or principle of law laid down by the Supreme Court En Banc. On September 19, 2012, this Court directed respondent PBCOM to comment on the petition. In its Comment, respondent contends that petitioner's action to annul the real estate mortgage and enjoin the foreclosure proceedings did not hide the true objective of the action, which is to restore petitioner's ownership of the foreclosed properties. Respondent maintains that this Court has already settled that "a complaint for cancellation of sale which prayed for both permanent and preliminary injunction aimed at the restoration of possession of the land in litigation is a real action." It likewise stresses that since petitioner's primary objective in filing its Complaint was to prevent the scheduled foreclosure proceedings over the mortgaged properties and the conveyance of their ownership to the highest bidder, the case was a real action. Finally, it denies that Home Guaranty Corporation modified and reversed Lu v. Lu Ym because the factual and legal milieus of these two (2) cases were different. On November 26, 2012, this Court required petitioner to file a reply to the comment. On February 1, 2013, petitioner filed its Reply where it denies that its Complaint was for the annulment of the foreclosure sale, because when it filed its Complaint, the foreclosure sale had not yet happened. It proclaims that its Complaint sought the removal of the lien on the mortgaged properties and was not intended to recover ownership or possession since it was still the registered owner with possession of the mortgaged properties when it filed its Complaint. On February 27, 2013, this Court noted petitioner's reply and directed the parties to submit their respective memoranda. On May 30, 2013, the parties filed their respective memoranda. In its Memorandum, petitioner continues to insist that it did not receive the loan proceeds from PBCOM which is why it filed its Complaint for annulment of real estate mortgage in response to the latter's Petition for Extrajudicial Foreclosure of Real Estate Mortgage. Petitioner reiterates that its Complaint for annulment of real estate mortgage was an action incapable of pecuniary estimation because it merely sought to remove the lien on its properties, not the recovery or reconveyance of the mortgaged properties. It states that it never expressly or impliedly sought the conveyance of the mortgaged properties because it was still the registered owner of the mortgaged properties when its Complaint was first presented for filing with the Clerk of Court. On the other hand, respondent in its Memorandum restates its stand that petitioner's Complaint involved a real action; hence, the estimated value of the mortgaged properties should have been alleged and used as the basis for the computation of the docket fees. Respondent claims that the allegations in petitioner's Complaint reveal the latter's real intention to assert its title and recover the real properties sold at the public auction. The only issue for this Court's resolution is whether or not the Regional Trial Court obtained jurisdiction over First Sarmiento Corporation, Inc.'s Complaint for annulment of real estate mortgage. Section 1. Filing of petition with Supreme Court. — A party desiring to appeal by certiorari from a judgment or final order or resolution of the Court of Appeals, the Sandiganbayan, the Regional Trial Court or other courts whenever authorized by law, may file with the Supreme Court a verified petition for review on certiorari. The petition shall raise only questions of law which must be distinctly set forth. (c) Appeal by certiorari. — In all cases where only questions of law are raised or involved, the appeal shall be to the Supreme Court by petition for review on certiorari in accordance with Rule 45. Thus, there is no question that a petitioner may file a verified petition for review directly with this Court if only questions of law are at issue; however, if both questions of law and of facts are present, the correct remedy is to file a petition for review with the Court of Appeals. In the case at bar, the underlying question for this Court's resolution pertains to jurisdiction, or to be more precise, whether the Regional Trial Court attained jurisdiction over petitioner's Complaint with the amount of docket fees paid. Considering that the issue of jurisdiction is a pure question of law, petitioner did not err in filing its appeal directly with this Court pursuant to law and prevailing jurisprudence. Petitioner contends that its Complaint for annulment of real estate mortgage has a subject incapable of pecuniary estimation because it was not intended to recover ownership or possession of the mortgaged properties sold to respondent during the auction sale. It insists that it had ownership and possession of the mortgaged properties when it filed its Complaint; hence, it never expressly or impliedly sought recovery of their ownership or possession. Jurisdiction is "the power and authority of a court to hear, try and decide a case" brought before it for resolution. Courts exercise the powers conferred on them with binding effect if they acquire jurisdiction over: "(a) the cause of action or the subject matter of the case; (b) the thing or the res; (c) the parties; and (d) the remedy." Jurisdiction over the thing or the res is a court's authority over the object subject of litigation. The court obtains jurisdiction or actual custody over the object through the seizure of the object under legal process or the institution of legal proceedings which recognize the power and authority of the court. Jurisdiction over the parties is the court's power to render judgment that are binding on the parties. The courts acquire jurisdiction over the plaintiffs when they file their initiatory pleading, while the defendants come under the court's jurisdiction upon the valid service of summons or their voluntary appearance in court. Jurisdiction over the cause of action or subject matter of the case is the court's authority to hear and determine cases within a general class where the proceedings in question belong. This power is conferred by law and cannot be acquired through stipulation, agreement between the parties, or implied waiver due to the silence of a party. Jurisdiction is conferred by the Constitution, with Congress given the plenary power, for cases not enumerated in Article VIII, Section 5 of the Constitution, to define, prescribe, and apportion the jurisdiction of various courts. Batas Pambansa Blg. 129, or the Judiciary Reorganization Act of 1980 as amended by Republic Act No. 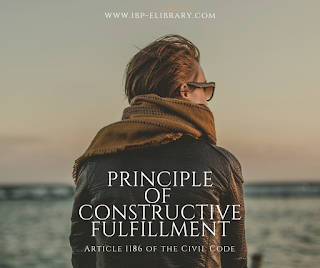 7691, provided for the jurisdictional division between the first and second level courts by considering the complexity of the cases and the experience needed of the judges assigned to hear the cases. In criminal cases, first level courts are granted exclusive original jurisdiction to hear complaints on violations of city or municipal ordinances and offenses punishable with imprisonment not exceeding six (6) years. In contrast, second level courts, with more experienced judges sitting at the helm, are granted exclusive original jurisdiction to preside over all other criminal cases not within the exclusive jurisdiction of any other court, tribunal, or body. The same holds true for civil actions and probate proceedings, where first level courts have the power to hear cases where the value of personal property, estate, or amount of the demand does not exceed P100,000.00 or P200,000.00 if in Metro Manila. First level courts also possess the authority to hear civil actions involving title to, possession of, or any interest in real property where the value does not exceed P20,000.00 or P50,000.00 if the real property is situated in Metro Manila. Second level courts then assume jurisdiction when the values involved exceed the threshold amounts reserved for first level courts or when the subject of litigation is incapable of pecuniary estimation. First level courts were also conferred with the power to hear the relatively uncomplicated cases of forcible entry and unlawful detainer, while second level courts are authorized to hear all actions in admiralty and maritime jurisdiction with claims above a certain threshold amount. Second level courts are likewise authorized to hear all cases involving the contract of marriage and marital relations, in recognition of the expertise and probity required in deciding issues which traverse the marital sphere. Section 19(1) of Batas Pambansa Blg. 129, as amended, provides Regional Trial Courts with exclusive, original jurisdiction over "all civil actions in which the subject of the litigation is incapable of pecuniary estimation." It is axiomatic that the jurisdiction of a tribunal, including a quasi-judicial officer or government agency, over the nature and subject matter of a petition or complaint is determined by the material allegations therein and the character of the relief prayed for, irrespective of whether the petitioner or complainant is entitled to any or all such reliefs. Heirs of Sebe v. Heirs of Sevilla likewise stressed that if the primary cause of action is based on a claim of ownership or a claim of legal right to control, possess, dispose, or enjoy such property, the action is a real action involving title to real property. 7. Defendant PBCOM knows fully well that plaintiff did not receive from it the loan it (PBCOM) alleged to have granted in its favor. 8. Despite this, defendant PBCOM has filed with the Ex-Officio Sheriff of Bulacan, a petition for extra judicial foreclosure of real estate mortgage, bent on foreclosing the real estate properties of plaintiff, photocopy of the petition is hereto attached as Annex "F". 9. The auction sale of the properties is set on December 29, 2011. 10. Defendant PBCOM, well knowing the facts narrated above and willfully disregarding the property rights of plaintiff, wrongfully filed an extra judicial foreclosure of real estate mortgage and pursuant to said petition, the Ex-Officio Sheriff now does offer for sale, the real estate properties of the plaintiff as set forth in its (PBCOM) said petition. 11. Unless defendants PBCOM and Ex-Officio Sheriff are restrained by this Honorable Court, they will infringe the property rights of the plaintiff in the manner herein before related. Here, the primary reliefs prayed for by respondents in Civil Case No. MAN-4045 is the cancellation of the real estate and chattel mortgages for want of consideration. In Bumayog v. Tumas, this Court ruled that where the issue involves the validity of a mortgage, the action is one incapable of pecuniary estimation. In the more recent case of Russell v. Vestil, this Court, citing Bumayog, held that an action questioning the validity of a mortgage is one incapable of pecuniary estimation. Petitioner has not shown adequate reasons for this Court to revisit Bumayog and Russell. Hence, petitioner's contention [cannot] be sustained. Since respondents paid the docket fees, as computed by the clerk of court, consequently, the trial court acquired jurisdiction over Civil Case No. MAN-4045. It is not disputed that even if the Complaint were filed a few days after the mortgaged properties were foreclosed and sold at auction to respondent as the highest bidder, the certificate of sale was only issued to respondent after the Complaint was filed. Mahinay v. Dura Tire & Rubber Industries Inc. clarified that "[t]he date of the sale' referred to in Section 6 is the date the certificate of sale is registered with the Register of Deeds. This is because the sale of registered land does not 'take effect as a conveyance, or bind the land' until it is registered." The registration of the certificate of sale issued by the sheriff after an extrajudicial sale is a mandatory requirement; thus, if the certificate of sale is not registered with the Registry of Deeds, the property sold at auction is not conveyed to the new owner and the period of redemption does not begin to run. In the case at bar, the Ex-Officio Sheriff of the City of Malolos, Bulacan was restrained from registering the certificate of sale with the Registry of Deeds of Bulacan and the certificate of sale was only issued to respondent after the Complaint for annulment of real estate mortgage was filed. Therefore, even if the properties had already been foreclosed when the Complaint was filed, their ownership and possession remained with petitioner since the certificate of sale was not registered with the Registry of Deeds. This supports petitioner's claim that it never asked for the reconveyance of or asserted its ownership over the mortgaged properties when it filed its Complaint since it still enjoyed ownership and possession over them. Considering that petitioner paid the docket fees as computed by the clerk of court, upon the direction of the Executive Judge, this Court is convinced that the Regional Trial Court acquired jurisdiction over the Complaint for annulment of real estate mortgage. Furthermore, even if it is assumed that the instant case were a real action and the correct docket fees were not paid by petitioner, the case should not have been dismissed; instead, the payment of additional docket fees should have been made a lien on the judgment award. The records attest that in filing its complaint, petitioner readily paid the docket fees assessed by the clerk of court; hence, there was no evidence of bad faith or intention to defraud the government that would have rightfully merited the dismissal of the Complaint. Although not raised in the Petition, this Court nonetheless deems it proper to pass upon the legality of the Regional Trial Court January 4, 2012 Order, which directed the parties to observe the status quo ante, effectively extending indefinitely its 72-hour ex-parte temporary restraining order issued on January 2, 2012. Section 5. Preliminary injunction not granted without notice; exception. — No preliminary injunction shall be granted without hearing and prior notice to the party or person sought to be enjoined. If it shall appear from facts shown by affidavits or by the verified application that great or irreparable injury would result to the applicant before the matter can be heard on notice, the court to which the application for preliminary injunction was made, may issue a temporary restraining order to be effective only for a period of twenty (20) days from service on the party or person sought to be enjoined, except as herein provided. Within the said twenty-day period, the court must order said party or person to show cause, at a specified time and place, why the injunction should not be granted, determine within the same period whether or not the preliminary injunction shall be granted, and accordingly issue the corresponding order. However, and subject to the provisions of the preceding sections, if the matter is of extreme urgency and the applicant will suffer grave injustice and irreparable injury, the executive judge of a multiple-sala court or the presiding judge of a single-sala court may issue ex-parte a temporary restraining order effective for only seventy-two (72) hours from issuance but he shall immediately comply with the provisions of the next preceding section as to service of summons and the documents to be served therewith. Thereafter, within the aforesaid seventy-two (72) hours, the judge before whom the case is pending shall conduct a summary hearing to determine whether the temporary restraining order shall be extended until the application for preliminary injunction can be heard. In no case shall the total period of effectivity of the temporary restraining order exceed twenty (20) days, including the original seventy-two hours provided herein. In the event that the application for preliminary injunction is denied or not resolved within the said period, the temporary restraining order is deemed automatically vacated. The effectivity of a temporary restraining order is not extendible without need of any judicial declaration to that effect and no court shall have authority to extend or renew the same on the same ground for which it was issued. However, if issued by the Court of Appeals or a member thereof, the temporary restraining order shall be effective for sixty (60) days from service on the party or person sought to be enjoined. A restraining order issued by the Supreme Court or a member thereof shall be effective until further orders. It is clear that a temporary restraining order may be issued by a trial court in only two (2) instances: first, when great or irreparable injury would result to the applicant even before the application for writ of preliminary injunction can be heard; and second, if the matter is of extreme urgency and the applicant will suffer grave injustice and irreparable injury. The executive judge of a multi-sala court or the presiding judge of a single-sala court may issue a 72-hour temporary restraining order. In both instances, the temporary restraining order may be issued ex parte. However, in the first instance, the temporary restraining order has an effectivity of only 20 days to be counted from service to the party sought to be enjoined. Likewise, within those 20 days, the court shall order the enjoined party to show why the injunction should not be granted and shall then determine whether or not the injunction should be granted. In the second instance, when there is extreme urgency and the applicant will suffer grave injustice and irreparable injury, the court shall issue a temporary restraining order effective for only 72 hours upon issuance. Within those 72 hours, the court shall conduct a summary hearing to determine if the temporary restraining order shall be extended until the application for writ of preliminary injunction can be heard. However, in no case shall the extension exceed 20 days. If the application for preliminary injunction is denied or not resolved within the given periods, the temporary restraining order is automatically vacated and the court has no authority to extend or renew it on the same ground of its original issuance. Despite the clear wording of the rules, the Regional Trial Court issued a status quo ante order dated January 4, 2012, indefinitely extending the temporary restraining order on the registration of the certificate of sale with the Registry of Deeds. Petitioner applied for a writ of preliminary injunction, yet the Regional Trial Court did not conduct any hearing for that purpose and merely directed the parties to observe the status quo ante. Preliminary injunction is an order granted at any stage of an action or proceeding prior to the judgment or final order, requiring a party or a court, agency or a person to perform to refrain from performing a particular act or acts. As an extraordinary remedy, injunction is calculated to preserve or maintain the status quo of things and is generally availed of to prevent actual or threatened acts, until the merits of the case can be heard. A preliminary injunction persists until it is dissolved or until the termination of the action without the court issuing a final injunction. A temporary restraining order cannot be extended indefinitely to take the place of a writ of preliminary injunction, since a temporary restraining order is intended only to have a limited lifespan and is deemed automatically vacated upon the expiration of 72 hours or 20 days, as the case may be. As such, the temporary restraining order has long expired and, in the absence of a preliminary injunction, there was nothing to stop the sheriff from registering the certificate of sale with the Registry of Deeds. This Court has repeatedly expounded on the nature of a temporary restraining order and a preliminary injunction. Yet lower courts consistently interchange these ancillary remedies and disregard the sunset clause inherent in a temporary restraining order by erroneously extending it indefinitely. Such ignorance or defiance of basic remedial measures is a gross disservice to the public, who look towards the court for legal guidance and legal remedy. More importantly, this cavalier attitude towards these injunctive reliefs might even be construed as a deliberate effort to look the other way to favor a party, which will then sully the image of the entire judiciary. Henceforth, this Court will demand stricter compliance with the rules from the members of the bench as regards their issuances of these injunctive reliefs. Finally, there is a need to reassess the place of Home Guaranty v. R-II Builders in our jurisprudence. In Home Guaranty, R-II Builders, Inc. (R-II Builders) filed a Complaint for the rescission of the Deed of Assignment and Conveyance it entered into with Home Guaranty Corporation and National Housing Authority. The Complaint was initially determined to have a subject that is incapable of pecuniary estimation and the docket fees were assessed and paid accordingly. R-II Builders later filed a motion to admit its Amended and Supplemental Complaint, which deleted its earlier prayer for the resolution of its Deed of Assignment and Conveyance, and prayed for the conveyance of title to and/or possession of the entire Asset Pool. The Regional Trial Court ruled that the Amended and Supplemental Complaint involved a real action and directed R-II Builders to pay the correct docket fees. Instead of paying the additional docket fees, R-II Builders withdrew its Amended and Supplemental Complaint and instead filed a motion to admit its Second Amended Complaint, which revived the prayer in its original Complaint to resolve the Deed of Assignment and Conveyance and deleted the causes of action for conveyance of title to and/or possession of the entire Asset Pool in its Amended and Supplemental Complaint. The Regional Trial Court granted the motion to admit the Second Amended Complaint, ratiocinating that the docket fees to the original Complaint had been paid; that the Second Amended Complaint was not intended to delay the proceedings; and that the Second Amended Complaint was consistent with R-II Builders' previous pleadings. Although an action for resolution and/or the nullification of a contract, like an action for specific performance, fall squarely into the category of actions where the subject matter is considered incapable of pecuniary estimation, we find that the causes of action for resolution and/or nullification of the [Deed of Assignment and Conveyance] was erroneously isolated by the [Court of Appeals] from the other causes of action alleged in R-II Builders' original complaint and Amended and Supplemental Complaint which prayed for the conveyance and/or transfer of possession of the Asset Pool. In Gochan v. Gochan, this Court held that an action for specific performance would still be considered a real action where it seeks the conveyance or transfer of real property, or ultimately, the execution of deeds of conveyance of real property. Home Guaranty stated that to determine whether an action is capable or incapable of pecuniary estimation, the nature of the principal action or remedy prayed for must first be determined. Nonetheless, in citing Ruby Shelter Builders v. Formaran, Home Guaranty looked beyond R-II Builder's principal action for annulment or rescission of contract to purportedly unmask its true objective and nature of its action, which was to recover real property. Whether or not the case is a real action, and whether or not the proper docket fees were paid, one must look to the main cause of action of the case. In all instances, in the original Complaint, the Amended and Supplemental Complaint and the Amended Complaint, it was all for the resolution or rescission of the [Deed of Assignment and Conveyance], with the prayer for the provisional remedy of injunction and the appointment of a trustee and subsequently a receiver. In the Second Amended Complaint, the return of the remaining assets of the asset pool, if any, to respondent R-II Builders would only be the result of the resolution or rescission of the [Deed of Assignment and Conveyance]. Whatever confusion there might have been regarding the nature of actions for nullity of contracts or legality of conveyances, which would also involve recovery of sum of money or real property, was directly addressed by Lu v. Lu Ym. Lu underscored that "where the basic issue is something other than the right to recover a sum of money, the money claim being only incidental to or merely a consequence of, the principal relief sought, the action is incapable of pecuniary estimation." This finds support in numerous decisions where this Court proclaimed that the test to determine whether an action is capable or incapable of pecuniary estimation is to ascertain the nature of the principal action or relief sought. Thus, if the principal relief sought is the recovery of a sum of money or real property, then the action is capable of pecuniary estimation. However, if the principal relief sought is not for the recovery of money or real property and the money claim is only a consequence of the principal relief, then the action is incapable of pecuniary estimation. Considering that the principal remedy sought by R-II Builders was the resolution of the Deed of Assignment and Conveyance, the action was incapable of pecuniary estimation and Home Guaranty erred in treating it as a real action simply because the principal action was accompanied by a prayer for conveyance of real property. It is clear that subject matter jurisdiction cannot be dependent on the supposed ultimate motive or true objective of the complaint because this will require the judge to speculate on the defenses of the plaintiff beyond the material allegations contained in the complaint. Likewise, in attempting to pinpoint the true objective of the complaint at the initial stages of trial, the judge might end up dictating the result outside of the evidence still to be presented during the trial, opening up the judge to charges of partiality and even impropriety. Furthermore, the judge is not aware of the evidence to be presented by either party when the complaint is filed; thus, there is no reliable basis that can be used to infer the true objective of the complaint. It is imperative then that the competing claims as basis of subject matter jurisdiction be textually based, finding its basis in the body of the complaint and the relief sought without reference to extraneous facts not alleged or evidence still to be presented. Nonetheless, if subject matter jurisdiction is assailed during the course of the trial and evidence is presented to prove the defense's allegation of lack of jurisdiction, this will lead to an anomaly where the defense's evidence, instead of the complaint, will effectively determine the remedy and cause of action. In the case at bar, petitioner contends that its complaint prayed for the annulment of the real estate mortgage it entered into with respondent and not for the recovery or reconveyance of the mortgaged properties because it was still the registered owner when it filed its complaint. The evidence on record supports petitioner's claim; hence, there was no reason for the dismissal of its Complaint for lack of jurisdiction. Home Guaranty likewise erred in dismissing the action because of non-payment of the correct filing fees. Fedman Development Corporation v. Agcaoili reiterated that where the assessed docket fees have been paid and the assessment turns out to be insufficient, the court still acquires jurisdiction over the case, subject to payment of the deficiency assessment. The only exception is when the deficiency in docket fees is accompanied with bad faith and an intention to defraud the government. It is not disputed that R-II Builders paid the assessed docket fees when it filed its Complaint, negating bad faith or intent on its part to defraud the government. In light of the foregoing, this Court reaffirms that the nature of an action is determined by the principal relief sought in the complaint, irrespective of the other causes of actions that may also crop up as a consequence of the principal relief prayed for. The contrary rule espoused in Home Guaranty is thereby set aside. WHEREFORE, this Court resolves to GRANT the Petition. The assailed April 3, 2012 Decision and July 25, 2012 Order of Branch 11, Regional Trial Court, City of Malolos, Bulacan in Civil Case No. 04-M-2012 are REVERSED and SET ASIDE. The case is ordered REMANDED to Branch 11, Regional Trial Court, City of Malolos, Bulacan for continued trial on First Sarmiento Property Holdings, Inc.'s Complaint for annulment of real estate mortgage and its amendments. Carpio, Acting C. J., Velasco, Jr., Leonardo-De Castro, Peralta, Bersamin, Del Castillo, Perlas-Bernabe, Jardeleza, Caguioa, Martires, Tijam, Reyes, Jr., and Gesmundo, JJ., concur. Please take notice that on June 19, 2018 a Decision, copy attached herewith, was rendered by the Supreme Court in the above-entitled case, the original of which was received by this Office on August 28,2018 at 2:30 p.m.
 Id. at 21-22. The Decision was penned by Judge Basilio R. Gabo, Jr.
 Id. at 23. The Resolution was penned by Judge Basilio R. Gabo, Jr.
 Id. at 21 and 35-52. Id. at 154-174, First Sarmiento's Memorandum; and rollo, pp. 175-196, PBCOM's Memorandum. Marilao Water v. Intermediate Appellate Court, 278 Phil. 444, 452 (1991) [Per J. Narvasa, First Division]; Mendoza v. Villas, 659 Phil. 409, 415-416 (2011) [Per J. Velasco, Jr., First Division]; Doña Adela Export International v. Trade & Investment Development Corp., 753 Phil. 596, 610 (2015) [Per J. Villarama, Jr., Third Division]. 753 Phil. 596 (2015) [Per J. Villarama, Jr., Third Division]. Victorias Milling Co. Inc. v. Intermediate Appellate Court, 277 Phil. 1, 8 (1991) [Per J. Davide, Jr., Third Division]. Zamora v. Court of Appeals, 262 Phil. 298, 304 (1990) [Per J. Cruz, First Division]. De Pedro v. Romasan Development Corp., 748 Phil. 706, 723 (2014) [Per J. Leonen, Second Division]. Macahilig v. Heirs of Magalit, 398 Phil. 802, 817 (2000) [Per J. Panganiban, Third Division]. See Villagracia v. Fifth Shari'a District Court, 734 Phil. 239 (2014) [Per J. Leonen, Third Division]. Heirs of Concha, Sr. v. Spouses Lumocso, 564 Phil. 580, 592-593 (2007) [Per C. J. Puno, First Division]. (5) Promulgate rules concerning the protection and enforcement of constitutional rights, pleading, practice, and procedure in all courts, the admission to the practice of law, the Integrated Bar, and legal assistance to the underprivileged. Such rules shall provide a simplified and inexpensive procedure for the speedy disposition of cases, shall be uniform for all courts of the same grade, and shall not diminish, increase, or modify substantive rights. Rules of procedure of special courts and quasi-judicial bodies shall remain effective unless disapproved by the Supreme Court. CONST., art. VIII, sec. 2. Batas Blg. 129, sec. 32(1). Batas Blg. 129, sec. 32(2). Batas Blg. 129, sec. 20. Batas Blg. 129, sec. 33(1). Batas Blg. 129, sec. 33(3). Batas Blg. 129, sec. 19(2) and (4). Batas Blg. 129, sec. 19(1). Batas Blg. 129, sec. 33(2). Batas Blg. 129, sec. 19(3). Batas Blg. 129, sec. 19(5). 133 Phil 526 (1968) [Per J. Reyes, J.B.L, En Banc]. Figueroa v. People, 580 Phil. 58, 78 (2008) [Per J. Nachura, Third Division] citing Villagracia v. Fifth Shari'a District Court, 734 Phil. 239 (2014) [Per J. Leonen, Third Division]; Heirs of Julian Dela Cruz and Leonora Talaro v. Heirs of Alberto Cruz, 512 Phil. 389 (2005) [Per J. Callejo, Second Division]; Spouses Atuel v. Spouses Valdez, 451 Phil. 631 (2003) [Per J. Carpio, First Division]. 618 Phil. 395 (2009) [Per J. Abad, Second Division]. 540 Phil. 7 (2006) [Per J. Sandoval-Gutierrez, Second Division]. Id. at 21 citing Bunayog v. Tunas, 106 Phil. 715 (1959) [Per J. Bautista Angelo, En Banc] and Russell v. Vestil, 364 Phil. 392 (1999) [Per J. Kapunan, First Division]. An Act to Regulate the Sale of Property Under Special Powers Inserted In or Annexed to Real-Estate Mortgages. G.R. No. 194152, June 5, 2017 [Per J. Leonen, Second Division]. Id. at 5 citing Reyes v. Noblejas, 129 Phil. 256, 262 (1967) [Per J. Angeles, En Banc]. Reyes v. Noblejas, 129 Phil. 256, 261-262 (1967) [Per J. Angeles, En Banc]. Fedman Development Corp. v. Agcaoili, 672 Phil. 20 (2011) [Per J. Bersamin, First Division]. 401 Phil. 431 (2000) [Per J. Kapunan, First Division]. Carpio-Morales v. Court of Appeals, 772 Phil. 627, 736-738 (2015) [Per J. Perlas-Bernabe, En Banc]; Miriam College Foundation, Inc. v. Court of Appeals, 401 Phil. 431, 447-448 (2000) [Per J. Kapunan, First Division]. Carpio-Morales v. Court of Appeals, 772 Phil. 627, 736-738 (2015) [Per J. Perlas-Bernabe, En Banc]; The Incorporators of Mindanao Institute, Inc. v. The United Church of Christ in the Philippines, 685 Phil. 21, 32-34 (2012) [Per J. Mendoza, Third Division]; Dungog v. Court of Appeals, 455 Phil. 675, 684-685 (2003) [Per J. Carpio, First Division]. Bankers Association of the Philippines v. Comelec, 722 Phil. 92, 100 (2013) [Per J. Brion, En Banc]. 660 Phil. 517 (2011) [Per J. Perez, First Division]. Id. at 536 and 538. 667 Phil. 781 (2011) [Per J. Perez, Special First Division]. 585 Phil. 251 (2008) [Per J. Nachura, En Banc]. See Lapitan v. Scandia, Inc., et al., 133 Phil. 526, 528 (1968) [Per J. Reyes, J.B.L, En Banc]; Singson v. Isabela Sawmill, 177 Phil. 575, 588 (1979) [Per J. Fernandez, First Division]; Spouses Huguete v. Spouses Embudo, 453 Phil. 170, 176-177 (2003) Far East Bank and Trust Company v. Shemberg Marketing Corporation, 540 Phil. 7, 21 (2006) [Per J. Sandoval-Gutierrez, Second Division]. 672 Phil 20 (2011) [Per J. Bersamin, First Division].